Three weeks in Varanasi felt like a long time. Even the people that lived there kept shaking their heads in disbelief when I told them I was staying for 21 days. 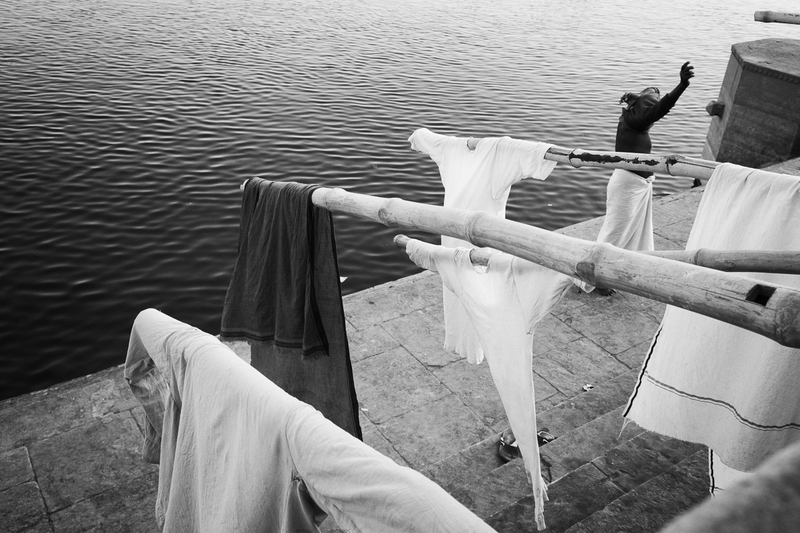 “Three weeks!” they’d exclaim, “In Varanasi? Why?” But they smiled when they did so and I think they were pleased that I was sticking around, if only to prolong their chances to sell me a scarf, some beads, or a boat ride. Varanasi is a lot to take in. It’s noisy and chaotic, the touts are aggressive, and if you spend your time exclusively along the river, as I did, you’re flanked by two cremations sites that never stop sending the ashes of the elders and the prematurely dead, into the wind, and soon thereafter into my lungs. My respiratory system was grateful when we got back to Delhi and if you’ve ever been to Delhi, that’s saying something. One of the oldest living cities in the world, Varanasi sits under centuries upon centuries of character disguised as inches patina, dust, and grime. It’s a lot. But it’s glorious. Despite the chaos, and the physical toll this trip took, including an unexpected bout with a kidney stone that I can tell you was not one of my favourite things ever, it’s a magical place and magical places have never given up their treasures lightly. Day in and out I walked along the river looking for those rare moments of grace that occur at the place where light, line, and moment intersect. I used to go looking for the spirit of a place but I’m not sure it exists anymore. If it does, it’s more like learning to see the place with my own spirit, finding my own vision. I’m no longer encumbered by the need to sum up the place, as though my few photographs could say all that needs to be said. Instead I’m just looking for little vignettes, little moments that together create a through-line that hint at my experience there. It’s really good to be home. We travel for so many reasons but sometimes I think I travel in part to re-calibrate my gratitude and appreciation for home. I’ve now got some solid time to do some diving, pursue some important projects with the kind of depth that can only be done with larger chunks of time, and take some time for my body and soul. This is the first time in years that I haven’t been actively writing a book or doing workshops and I love the freedom that brings, if only to give me the energy to do both again in a year or two. My next projects include a coffee table book of my images from east Africa, called Pilgrims & Nomads, and the pursuit of my underwater work, and a new course about travel photography that I’m hoping to launch in the late summer or early fall, called The Traveling Lens. Thanks for being there. I love knowing there’s someone on the other end of these postcards that likes to see the world from a different perspective. The next work I show you will be from the next trip back to the Revillagigedo Archipelago, 300 miles off the coast of Mexico where I’ll be for 3 weeks in April. Sharks, mantas, dolphins, and whatever mystery the ocean is willing to show me. 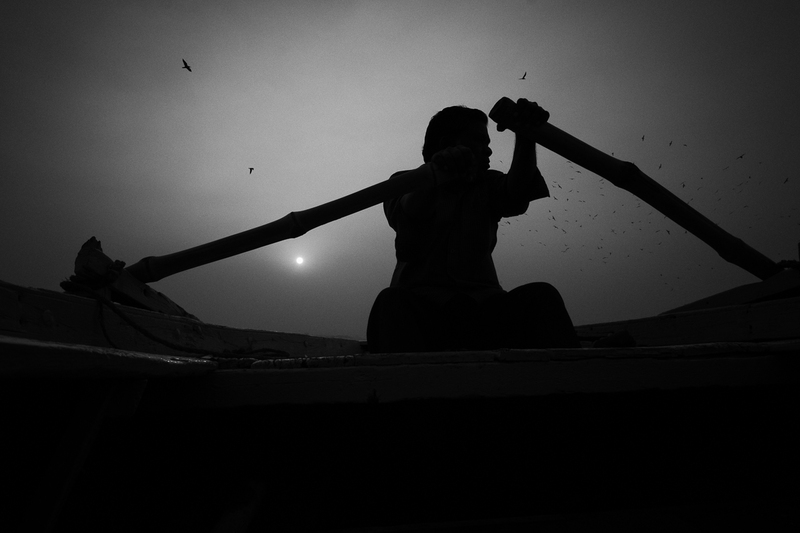 In the mean time, here are a few of my images from my time along the Ganges River in Varanasi. 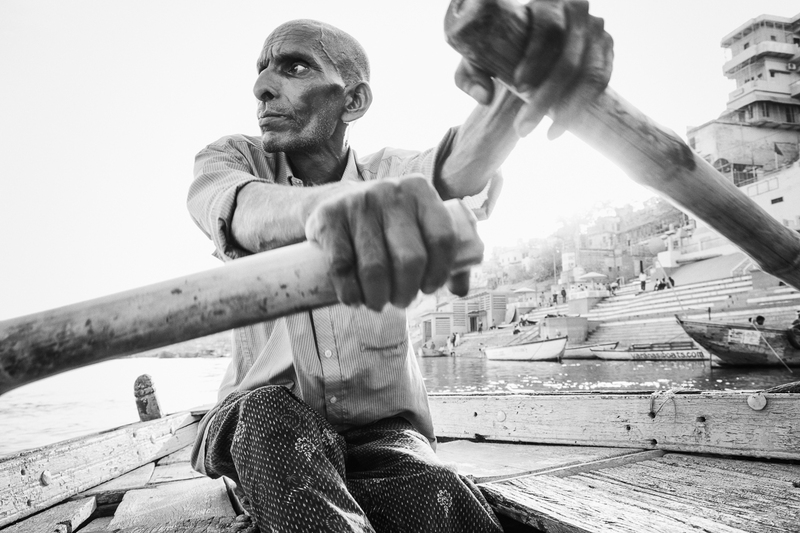 Thanks so much for sharing your photographs and stories about Varanasi. I really appreciate it so much and it inspires me to work harder on “Master Your Craft”. Have a great day and recharge your batteries. Essas histórias ou contos de viagens, que você descreve, me anima muito, grato por esses momentos. Thanks, Dr. Philip. I usually delete comments like this but yours seems legitimate and helpful and not at all dodgy. I’ll keep this in case one of my readers or I have to sell a kidney in the future. If I received postcards like this, whether in a blog or the mail, I would truly be as rapt as I am this moment. Thank you. I always look forward to your post’s,pictures and you tube blogs, thanks for sharing. As always I love the way your words and photos touch us so deeply. Varanasi remains a bucket list location and one that I think would require a lot of time to even begin connecting with the history, traditions, and vibe. It must be like peeling the layers of an infinite onion – just when you think you have reached the center, yet even more layers exist to be found…. So glad you’re getting a chance to recalibrate. Looking forward to your next course and seeing more amazing images! 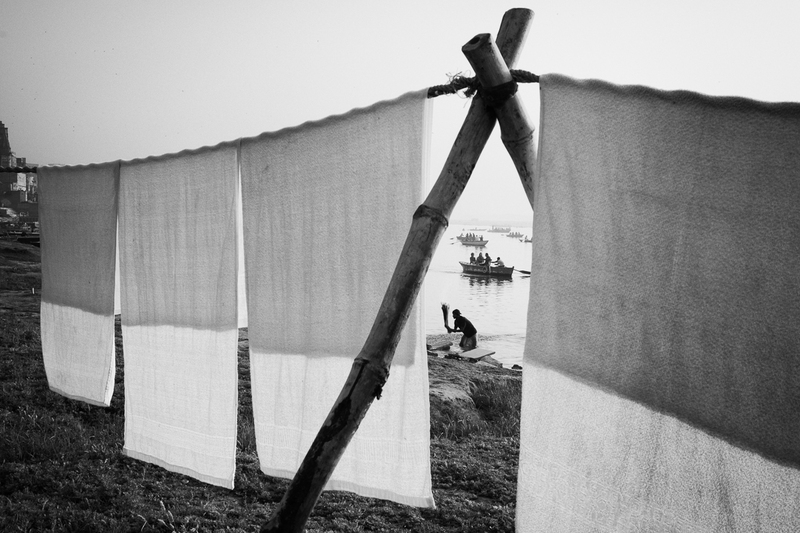 David, the composition of these images seem different and turned up a notch…they show the curtain being drawn back just enough to give a glance of life on the other side. We get to experience the same view as if we were there looking over your shoulder. Thanks. I was there 2 weeks too. That’s weird. I don’t like this town. Yet when I return to France, I miss Varanasi. What do I miss? The Ganges? No. 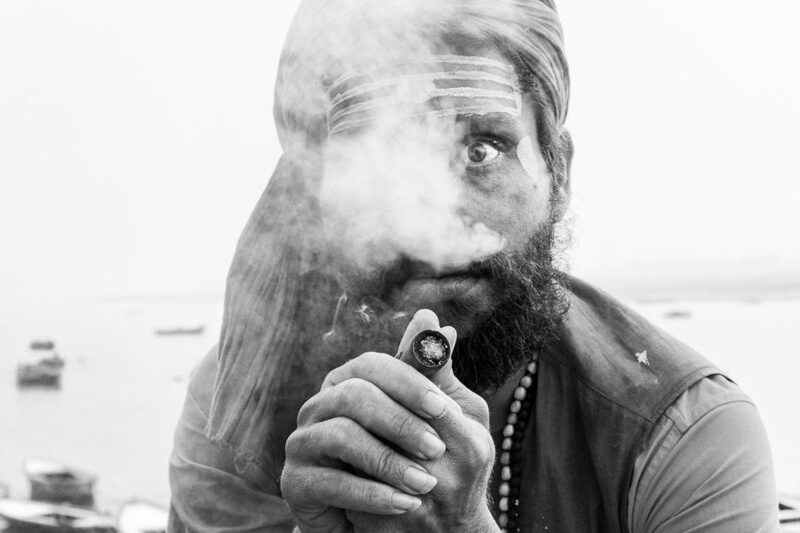 Sadhus? No. The boats? No. The dead? No. I think that’s my story about this town. I go to Varanasi to find the Varanasi of my imagination and I never manage to find it. The journey remains a confrontation between reality and imagination. Varanasi as a cultural destination is really worth visiting, being one of the oldest continually inhabited cities on the planet. It still remains on my to-travel list, probably shorter than 3 weeks 🙂 Great photos btw! I have been reading your postcards for years. Like many of your blog readers, we don’t know each other but be assured there are always lots of readers waiting for the next one – you are part of our lives. . Thanks for sharing your vision, spirit and love. Keep doing ! G.
I’m grateful you mentioned the effect on your respiratory system; I will live through your postcard as my asthma wouldn’t tolerate the real thing. ? Thank you for always reminding me how important my creative side is to me. I have only just discovered you. Thank you. Just what I needed…I wondered why I was losing interest/satisfaction with my photography, something was missing…it was me. I was so intent on being a good photographer that I lost my passion for a time. I think I just found it! Amazing photography, I love Varanasi city..